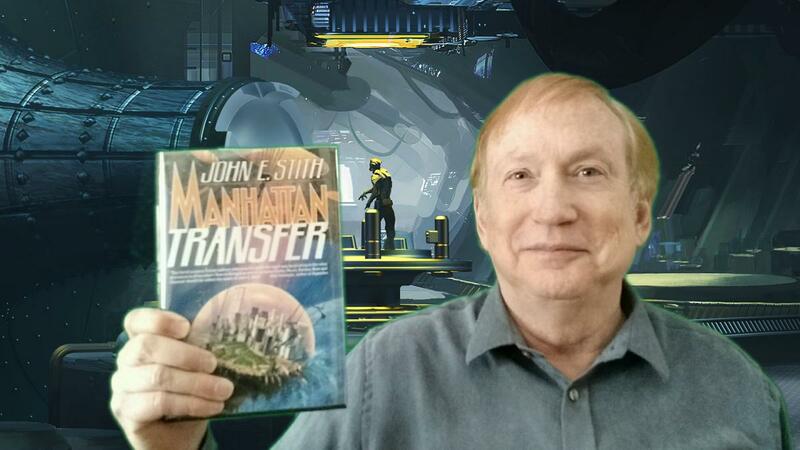 Here's my photo for the upcoming "I am SFWA" project, in which writers in Science Fiction and Fantasy Writers of America will contribute stills or videos for a compilation that will be on YouTube to show the various faces of SFWA. The artwork behind me was done by Takumer Homma and will be on the re-issue of DEEP QUARRY. The artwork on the MANHATTAN TRANSFER cover was done by Darrell K. Sweet.